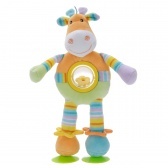 Juniors Jungle Pals Suction Toy | It has a suction cup base that can be attached to high chairs. 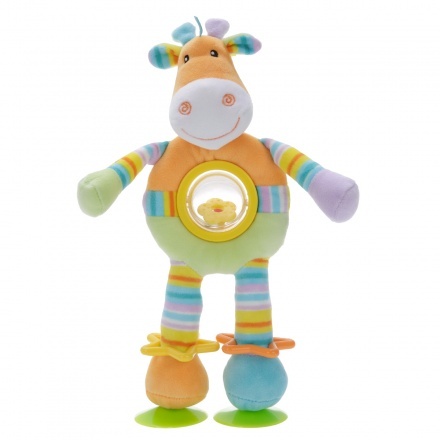 Conveniently attach this suction toy to entertain your little one and watch her smile with joy. 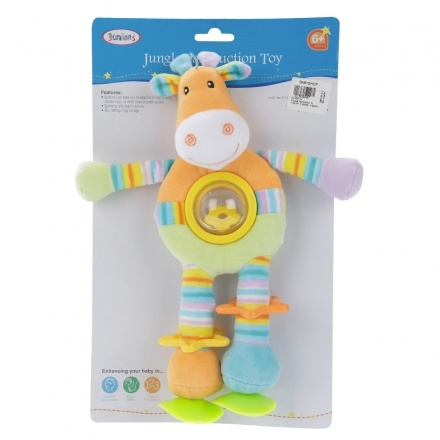 Featuring alluring colours, this toy has a rattle at the centre and attractive stripes that looks appealing. Feature 1 : It has a suction cup base that can be attached to high chairs. Feature 2 : It has spinning rattle ball and star rattling ring.